Work for Autodesk BIM 360? Learning about Autodesk BIM 360? "one stop hub for mega projects 3D Coordination"
"It captures all the field issues on one single platform"
"Improved Collaboration & Sharing of Information "
It provides a platform to collaborate with partners and to share information with each other. It actually has streamlined the flow of information and was much useful on the Job site while navigating through an iPad. 1. I think it should show an information dialog when two or more persons using the same merged model and reminding them to be careful about the changes that they are going to do in the model. Because it overrides the previous information. 2. Glue doesn't allow to delete a model which was earlier appended to a merged model and later the same appended model is deleted from the merged model. Great software to collaborate and share information as it is integrated with many of the Autodesk products. This platform is very useful as a collaboration tool between our partners and for sharing of information. We are using this software to store merged models, DWGs, NWCs, Revit Models etc and also sharing views to glue that are created in Navisworks and using them on Job sites while navigating through an iPad. "BIM 360 for Model Access, Coordination, and Record keeping - MVC"
The ability to record keep models and view previous versions, the ability to control access of users and utilized models to create a merged model. Viewing individual models. the inability to merge multiple projects to create one cohesive project in glue, login doesn't want to save when opening glue on the desktop application or even online. 360 field has file size limitations on the ipad and there is no solution other than breaking down models. Loading the models to view in glue can be sluggish when rotating and zooming in on them. When checking the box to select multiple files, if you already downloaded files previously and unchecked those, it'll download both, causing you to download multiple files unintentionally. When switching from the list view to the tile view, it forgets what folder structure you were previously viewing. After gluing new files, the folder structure resets and you have to navigate back to the folder. Sometimes an error report will appear after uploading a file but, the file will have glued successfully anyway. The activities tab on glue doesn't allow you to scroll through who uploaded past the last 10 or so uploads. "Finally found the collaboration and cloud platform of the future AEC !" The best is back end developer line response,adoption and implementation of client requirement. Mean exciting to see more useful feature to come. It is quite taught to convince, company with smaller headcount to invest. e.g our sub-con to come integrate in our centralize MEP construction file. Once the cloud file is set up, in the case, sub-con need to pump in more ppls. It is not just about getting PCs and User, usually might need to spend time for setting up, getting license to come on-board. Current timing rate to be able to review the model on cloud is slow rate. It is need a few hours. Hope improvement for processing time, So Site personnel using Web can explore BIM model faster than now. Start implemented BIM 360 Docs in my EX company, Trained 100 + head count, from senior project manager, technical personnel, surveyor team,QS, including document controller. Site technical personnel and Q.S like the feature of version comparison. PM like the features of report status. I am quite Happy with the result and feedback. So implementing even more in new company when i move on. Now Design review and Coordination platform is on BIM 360 Design Collab. CSD drawing is producing by teamwork including trade Sub-Con using BIM 360 design. I like that I can use the program on my iPad Pro tablet. I like how fast I can open a drawing on my PC. Even though I have a FAST computer at work Navisworks takes some time to open an .nwf from the server. I can open a model from glue in less than 30 seconds. This is by and large the best thing about Glue. 1. I cannot sort the models in the selection tree specifically if I am using Glue. This is so annoying I sometimes will scrap an entire model as new files are added into the mix just so the selection tree is perfect. --------a. When Navigating the file exchange application some things just will not function unless I change to list mode. The preview mode is the default. I will Navigate all the way to where I need to be and realize in am in preview mode instead of list mode and I have to start all over. List mode needs to be the default and preview mode can just go away. -------b. If someone uploads while I am hosting a meeting I cannot save my work until their drawing refreshes and I cannot refresh until their drawing parses. ------- c. I cannot add a temporary file to see hypothetical situations on the fly. Once these hypothetical files are uploaded to "sandbox" these cannot be easily removed from the file exchange. -------d. there is no synchronization feature. A user must manually upload each and every time a new model is needed. 3. Sometimes Glue gives a new entity handle to some object meaning it shows up as a new clash even though the clash was previously marked as approved or reviewed. This causes hours of lost work. Use Glue for what it is good for. There are some things about Glue that no other programs can do. I would not use BIM 360 Glue if it was not forced upon my company by the General contractor. However, one good feature is I can compare uploads of a certain model version time stamped to show who caused what clash. Using the tablet application in the field is very effective if I have saved viewpoints from a pc version. I can easily compare what was modeled and what was built. "Begins to embrace active team collaboration"
The ability to coordinate much better between companies. The consumed model feature allows us to respond quickly to changes by external team members without having to update the model manually. We also have a lot of building owners, clients, and even internal users who are excited about being able to view and interact with the Revit model without needing to install additional software or learn how to use Revit. BIM 360 can be a little hard to work with when working with team members that are not yet on the platform. It forces a Revit link update process that is even worse than before BIM 360. Furthermore, it makes it harder for smaller companies with less resources to compete competitively in the industry. Corrupt model elements can be a much bigger headache than previously. Check out the online resources such as the Autodesk forum. Also, autodesk commonly does webinars, and puts out videos to aid in training. It can be a little daunting to start to learn, especially if few to no people in your company know how to use it, but the functionality you get is well worth it. Streamlining that is by far the biggest draw to BIM 360. I am also very excited about the opportunities Forge introduces. Opening up the platform to third party developers will allow people to come up with unique solutions to more specific problems. "Great product for collaboration "
It's perfect for working remotely from home. It helps me connect with my coworker even though we work in different cities. It's a good place to compile all our information in one place. It helps us know what the other is working on. I like being able to do mark ups and issues and keeping a record of these. And I use the comparison tool often to go back and see the changes. Sometimes it's hard to stop what I'm doing up load. It can take a while to load. Right now my biggest problem is the price. We are a 2 person firm and when work slows down, we have a hard time affording it. Adding it to the price we are already paying for our Revit subscriptions, it's pretty expensive. We're having to not subscribe to it at this time. Business is really slow right now. It help so much with keeping my coworker and I on the same page. We don't have to spend time looking for stuff, we know just where to go. Creating issues on drawings, and also field issues alike. I have already started recommending the software at #AUAfrica2018. There are many things to like, the ease of uploading drawings, the ease of creating packages the flowing way that Revit and BIM 360 flows together. Not having the ability to assign an issue to more than one person at a time. A relative strong dislike is actually from the contractor, his sub-contractors do not have smart phones and can therefor not access the software on site, the contractor therefor need to print out all the sub-contractors issues one by one. This needs to be resolved, one needs the ability to select multiple issues to print to a combined document. This software will revolutionize your document management and field management. 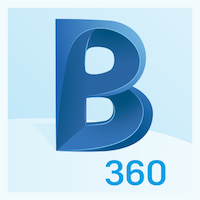 I would strongly urge everyone to try BIM360 as a solution to any document management or any field management issues. This software has saved me lots of time by not having to compile lists and trying to merge site photos with completion list issues. We had to train our contractors and clients in using this software but even this went smooth without any hazels. The client can now view our designs as soon as they move from our desks and we can manage the contractor by keeping track of his ability in resolving field issues on site. I'm saving lots of time by not having to create a completions list because of BIM360Field. Communication is upgraded by BIM 360. "Overall software usability and applications"
I like having relevant project information readily accessible in the cloud. Having features available to review and analyze the information (measurements, search) is a powerful tool. Sometimes the tools can be glitchy and difficult to use. A platform of more robust tools and navigation controls will be extremely helpful. For example: drawings could be easier to navigate with a sheet index in Docs. The model viewer in Glue is difficult to use, so we tend to just use Navisworks. With the upcoming releases, the roadmap for BIM 360 looks very promising to become a more and more powerful tool every contractor should have in their belt. This can reduce communication roadblocks and make information much more easily accessible. I am with a Construction Management firm that heavily uses BIM 360 Docs, Field, and Glue for a variety of purposes including document management/distribution and BIM Coordination. A big benefit is having information available in the cloud and having the ability to collaborate with others in the cloud. "Everything you could ever need for successful Project and Construction Management"
Bim 360 integrates all aspects of project management very well. I like that my clients are not required to purchase a licence but can piggyback on my licence to view and communicate with me as the project management team. Autodesk also releases updates frequently and with each update the product becomes easier to use. There are a few hiccups as there will be with all new software but overall the software developers have been great to work with and have listened to our, the users, recommendations for improving the software. IF you are going to use Bim 360, I would recommend using other Autodesk products such as Revit because they integrate perfectly. I would also recommend looking at the training modules provided by Autodesk as they reduce the learning curve and provide several quick tips to make the use of the product easier. Bim 360 has solved countless communication errors between us and our clients and has sped up our review process to almost half the time. The system is relatively easy to use and is getting more and more integrated as a coordination tool. I like that it is integrated with Navisworks for model coordination and clash detection. I like that it is simple to use and intiuitive to set up for the most part. Occasionally there are issues with the mobile app not being able to zoom in on a model or having trouble loading. There can be some bugs in the system every now and then but it works fairly well for the most part. Hopefully 360 Field, Plan, Glue, and Docs well all talk to one another much easier along with teams. It is a great collaboration tool that allows you to solve problems much easier through design management and preconstruction processes. Definitely check it out if you can. We are able to coordinate and solve problems much sooner than we would have if not using BIM processes. We are realized there is great benefit in collaborating directly with our trades using the Glue to Navisworks plugin so the model doesn't have to manually be updated all the time. "In development to become the best CDE"
I like best the concept of a single point of truth of all the information and to have a good process in place for checking, review and approve the information. Being able to segregate the information from the Work in Progress, to Shared and then to Published in compliance with the PAS-1192 is a great ability that will benefit our processes and quality procedures. I dislike that is not working with Xrefs for AutoCAD, Civil, Navisworks or any other application, as it will keep the reference to the user who created the references and is not able to keep relative paths to other folders. Also the Desktop Connector is very limited in its functionalities, as we can't lock the files that can be used only by one user, and it should be able to have similar functionalities as the web. I have recommended it to others considering the benefits that can bring to all. Working collaboratively with other offices, with other consultants and subconsultants, by sharing the information from a single point of truth improves the coordination, the efficiency and the consistency of the design documentation used by all parties involved in the design process. "Great tool, but needs improving"
The simplicity of use for people with little or no computer knowledge. It is able to combine a variety of 3D software into one platform that can then be viewed and marked up by many users. It can be very time consuming to download and view models. It is useful that many people can add to one merged model but this can also cause many issues with ensuring the latest information is shown. Measuring with BIM Glue is frustrating and difficult. Make sure there are good systems in place to ensure control over models uploading into BIM Glue so that there is good control over what can be seen. It is great for viewing models and quickly highlights any problems / clashes. It helps everyone visualise what the end result will be. this helps our business from the beginning of a project through to the end in many ways. "Decent - hopeful with Plangrid acquisition"
Connection to revit, and the ability to view element properties is what separates it from Plangrid. I hope, however, that Autodesk will learn from Plangrid on ease of use. I like that the viewing of the model is so easy along with the viewing of sheets. I also like how you can measure off of the model and collect square-footages. That feature has been sought after for a long time. I like the feature of being able to walk through the model, but it does not work as well as it should. The process of extracting from revit is a pain. There are too many steps. The best would be if you could export directly from revit for the extraction to the plans folder. 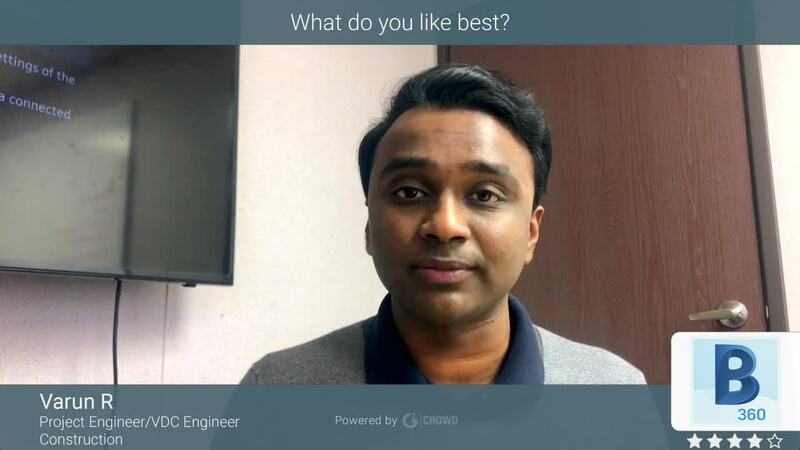 "BIM 360 Glue and Layout"
What I like best about BIM360 is that I have consistency among all my teammates from the office to the field and to my trade partners. They are all always seeing the same data. I dislike the clash detection and reporting in BIM 360 Glue, it can be slow and unresponsive. It does not have an easy to use workflow for assigning issues. BIM 360 allows users that have no experience to get started and be productive with models. The more experienced user will desire more functionality and as of now clash detection would more than likely be accomplished using Navisworks in lieu of Glue. We use Glue so everyone in our company and many trade partners have access to our models. We also use Layout to connect our models to a robotic total station to stake out and QA work. "Autodesk is like nothing you've ever used!" Autodesk's ability to adapt. The interface is fluid and oversees all other programs. Everything is easy to navigate. Autodesk does a brilliant job of explaining the tools and aiding you when you're in need of assistence. There's always room for improvement no matter where or who you are. I believe expansion is key. Autodesk has a broad selection of programs and that's what makes this name so versatile. Continue that expansion into unfamiliar ground and there you will find what you've been looking for. Throw all other programs aside, Autodesk BIM 360 is all you'll need! You get for what you pay for and this, this is worth every cent! Tasks are clear and easy to keep track of. Communication is everything. 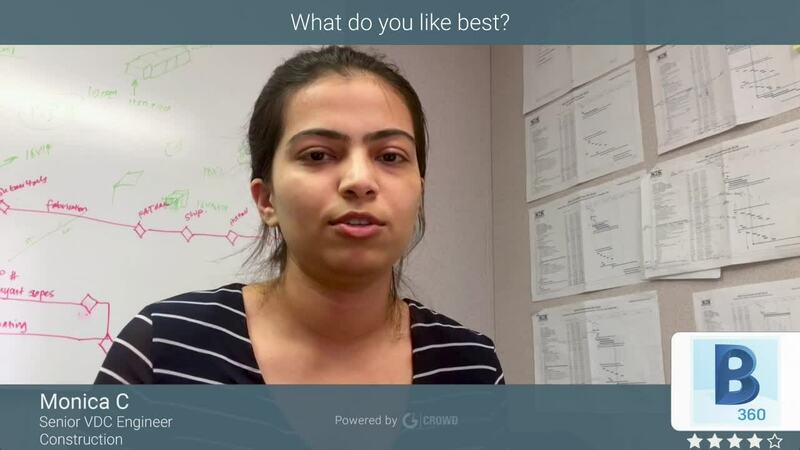 Autodesk allows users to feel in complete control of their work.. Consistency in movement options and clash detection; visual display options; for some reason when my company changed email addresses, it took me several weeks to get my Glue jobs transferred over to my new AutoDesk login email address. I wish that process would have been more streamlined and straight forward. It took way too many emails and phone calls to get that problem resolved. Throughout the process, techs people were responsive to my requests - it was the software that took forever to get fixed. But at the end of the day, that's a small complaint compared to all the wonderful things that the platform provides. Stick with it. The value is there if you use it as often as possible and enforce all trade partners to participate fully. The NavisWorks Manage integration piece alone can almost completely replace normal in-house document control practices if used to its fullest potential. Bringing trade partners together who do not own Manage is a major benefit in this industry. We talk to contractors almost every week that use Glue as their main collaboration and clash detection tool because it is provided by the GC and they don't have to purchase their own software suite. "Extraordinary feature for BIM Revit Software"
Uploading 3D models with sheet generated files easily extracted sheets, uploading pdf files with automatic zoom of sheet title, sheet numbers, etc. Uneasy moving of files to another folder. You have to create a new folder aside from its original folder. For a construction company, Autodesk BIM 360 is very helpful in featuring Revit model files to the client and to other users. When using BIM360, you can search even thru android phones, laptops, tablets, etc. anywhere - anytime. One can easily present 3D CSD models and per trade 3D models for coordination is a must for a construction industry. Autodesk BIM 360, help ease that need to get updated to actual site status. Clients, operation group, management group can view for construction drawings, IFC's, designs, design changes, value engineering, work-related forms, construction report status, etc. from the beginning of the project up to the end. Construction management thru BIM 360 easily organized. What I love most with BIM 360 is that, when you upload 3D model from Revit Software, one can view the model much easier (However, Navisworks is much faster). Before you upload your revit files make sure to export it to DWF/DWFx (It should be more than 10000 KB for a successful upload). In uploading e-files (like excel file), make sure you converted it with pdf, otherwise, you cannot open it. In transferring files to another folder, you have to create another sub-folder, then choose the files you want to move. Autodesk BIM360 improves sharing, storing documented files, easy access to the website and easy to use. All trades can easily review the files anywhere, anytime. "My experience has been pretty good." What I like best about the BIM 360 platform is the ability to store my content on a safe server that is backed up often and the ability to easily pull up past versions of the content. I dislike the fact that the BIM 360 Documentation isn't compatible with the BIM 360 Glue Platform so there are still instances where I have to pull the content down only to post them again in order to share content with subs that are on Glue, not on Documentation. Otherwise I have to pay for the same user twice once for each platform. Use this product, it will literally change your life. I' solving the need to coordinate and the need for quick access to models. "BIM 360 - future of all projects"
I dislike that smaller companies who also share in the success of a project may not have access to BIM 360. There should be a sponsor option where these smaller companies get to test BIM360 across the lifespan of a project obligation free. Well i started using Bim 360 to close items of the projects i manage, we make a site walk and from the ipad take the photos and add them to the software adding comments and dates right there and then and doing that we dont miss any item we review its simple as that, then to make sure the contractors follow up the works and complete them form my office i check everyday the status and if they change it to ready to inspect and add a photo os the jog done i can close it without the need to go out of the office to the site and verify if this is done, also i can see the due dates and if they pass i make sure to speak with te people in charge of it and see why they havent work on that, i can add direct comments and photos and every sub contractor its connected to also so they dont miss any of their responsabilities and finish the works on time, it makes my job easier. i also can make weekly or daily reports from the statuses or dates, graphs etc, thats very helpful whe my boss ask me for the information or i have to send a report. i dont know but i think it doesent have notifications for example when someone changes a status or add a comment, photo etc, or when a date is due, if they add something like that even send and email, that would be great. If you are looking for a project management software thats easy to use and reliable this is a great option. Follow up the issues or items daily, send reports add items to the list, i dont have to go out my office to make sure an item is finished. "connect information silos with BIM 360"
having a single source of truth and updated models. This is further improved in the next gen platform which i have not used. live models wont load point clouds. models seems to view better in field than glue. trades push models right before meeting than models are inaccurate and take too long to reload. models take too long to glue. hard to figure out where autodesk is heading since i have seen alot of cool things at AU not sure of the road-map and the innovation/suggestion portion is frustrating since you voice your concerns but implementation takes a long time to get incorporated. other features i dont care about end up being improved. the main thing that they are doing is connecting the different silos of bim platforms which will allow a single source of truth. single sourth of truth bim model. Our feild engineers are using it to open issues and track them. the data is collected to present to delinquent subcontractors. Our corporate office also uses this data for trend analysis. "Lots of benefits with so little investment"
The software implementation is really fast. Configuration is simple and easy, and no more than 1 hour of training we get our customers to start using the software on-site and noticing its benefits. The mobile app interface is intuitive and easy to use, and the viewer performs well in both Android and iPad, even when visualizing big 3D models. Also, the development team is fast and responsive, and many requested features are released monthly. We noticed some big improvements regarding quality control and safety checks, generating issues that can be easily created (with photographic evidence), assigned, and tracked throughout its resolution. It doesn't support complex document lifecycle and complex approval workflows. The dashboards doesn't report data across projects. Some desirable reports (such as document lists) aren't possible. Also, there was a neat functionality in BIM 360 Field Classic, the Equipment property mapping which was great for reporting directly in 3D model the construction status for model elements (integrated with Navisworks) and providing a great way to visualize the whole status project. The expectation was to have this tool directly integrated in Document Management, but this tool simply doesn't exist in this Next Gen version. It's all about setting expectations. The software won't solve all problems and won't necessarily will have all the tools to extract the most from BIM projects, but it provides lots of benefits for common difficulties in construction, such as collaboration, communication, issues tracking, document and model accessibility in mobile devices. Team collaboration, reduce of paper on-site, communication between project and construction sites, transforming checklists into relevant data, tracking of issues. "BIM 360 would be a better sharing platform if the user interface was more intuitive." That all of the project documents can be stored online and shared with the team. The user interface is not intuitive and I end up having to teach all of the users multiple times. This actually decreases my productivity when using the software vs sending submittals via email. I am not familiar with competitors software but prospective users should identify their needs and compare BIM360 to the competition. If you need submittal management software with an intuitive interface that all contractors and subcontractors will enjoy using, this is not it. If you are just using the document management portion of BIM360 to share drawings and project documents, the software may suit your needs but it still may be too expensive for just this use. If Autodesk sorts out the interface and make the software more flexible and user friendly, BIM360 may become a good product in the future, but for now it is probably worth considering some of the competitors software. At the end of the day, if contractors and subcontractors are not willing to work with the submittal and RFI software, the software becomes mostly useless. There are plenty of software options out there to share drawings so I think the construction management portion of the software needs to be improved to make BIM360 worthwhile. We are keeping the project information in a centralized location which is beneficial for allowing all team members to see what is going on. "Has Potenitial but needs more work!" The integration piece with our documents and drawings. The collaboration opportunities from Design to Construction. One stop shop attitude. Simple commands are still inefficient. Feedback should be requested to overview what is existing. The idea for this is to be one stop shop. At present, from the construction administration purposes, markups, export options and logs are not useful to work with. 1. As a firm with different offices that have team members across and need to work together on the same projects. 2. Sharing files with Owner, Contractor or Consultants is very straightforward and eliminates the need to download, save etc or use any other sharing file portal. 5. I have used BIM 360 Project Management Tool for RFIs and Submittals. There is a lot of work to be done in this area specifically the flow of documents but has potential. 6. BIM 360 Field also needs an interface uplift. 7. Punchlisting in BIM 360 was way easier. I do think the exporting tools need to be better. Using the cloud system for collaboration within the design team for documents. We have multiple offices across the tri state area and it is beneficial to have BIM 360 to coordinate and collaborate. Being efficient in Construction Administration aspect with the help of Project and Field Management. My favorite thing about BIM360 is the easy interface and the ability to coordinate with everyone so seemlesly. We can have the detailers coordinating with other trades and multiple users all at once. We can also include the project managers and field guys so they can see what is happening and what is changing through the project without missing a beat. The only issue I have currently is the navigation on the ANDROID app. This is difficult to navigate and not near as seamless as the Apple app. Don't hold out. This will let you coordinate and involve everyone from the design team to the construction team and the end user. It really is a win win win program. We couldn't do all the work we do without it. We tried and had issues. The files are secure and reliable. The biggest problems we are solving is the ability to free up server space and have remote users collaborating without slowing down. So now we can work remote, free server space and allow us to do simple overlays to compare work progress. "Useful tool, but could improve in one area." The system is user friendly to be able to store many different types and documents and forms. And, the ability to toggle back and back between some of them easily is a real plus. The system is also generally easy to follow (intuitive), which is also a plus. Training to use the software was minimal. The one thing I dislike is not being able to directly print out certain forms that get completed. The completed form can be printed out, but only after several steps are taken to export to a system outside of Autodesk BIM 360. When a direct print is tried, the print out is confusing and garbled. Talk to actual users that use functions you anticipate to need. It is primarily used for entering data from phyical inspections I do of construction related items that get put into pre-canned forms with BIM 360. The main benefit is that the information is captured permanently and easily retriveable. Being able to pull up the latest model on my laptop or Ipad when in the field. Being able to save views and share them with the team in the field and the team coordinating. When you undock your laptop to go to a meeting and the model loses connection , it gives you a pop up error. That won't go away until you reload the model. Glue is a great product. The only problem we have is we have a large number of users, and will the license renewal always changing we have had to change how we use glue. Being able to collaborate with many subs off site. "Good but still needs a lot of work"
There is little to no functionality or support for point cloud files and reality capture data. This is a big portion of the project from the BIM side that is missing! Also, when a Revit model is posted to BIM 360, you can not simply download the source file like you can with other file types. When you attempt to do so the files get corrupted somehow. The only way to retrieve the file is to go through Revit and use the 360 features within the Revit software. This is time consuming and tedious for occasions when we simply want to grab the model files from our architect and share them with the project trade teams. It's great but not quite an all in one solution yet like Autodesk is selling this as. It needs a lot of work. Honestly, this platform has done little for us so far that previous versions were not able to do. We'll see how this develops and what we can use it for when it comes to connecting the entire workflow with Field integration. "BIM 360 Finally Coming Together"
Having one area for your documents and models online has been very useful. Autodesk continues to upgrade this product making it more and more powerful. Many GCs have already switched over to using this for their prefered collaboration platform. I only seeing this becoming more and more of any industry staple. Autodesk is getting better and better at improving these products but they still need some improvement. Based on what I have seen Autodesk do with this product so far, I believe most of these concerns and issues will be eliminated in the not-to-distant future. Use the trial and see if you like it. Autodesk is spending a lot of time improving this product and it is starting to really show. Having our model on the cloud in BIM 360 has solved a lot of syncing problems with Revit. We originally hosted our model on our internal servers but found that our offices out of state were having to take a very long time to sync. Moving the project to the BIM 360 cloud fixed these issues. "Improve quality and track issues using BIM 360"
The user interface is great. Posting RFI's on Docs is not very user intuitive. Highly recommended for GC's looking for a tool that can manage workflow, documents and also the field aspect. Please note that I am a MVC and my review is my own thoughts and beliefs. Reduced paper work and capturing progress photos. Portability, having almost all contractors on the job using the Bim we are all on the same page, and that in its self limits the excuses. its all in one place, Drawings, punch list, specs, job photos. I think is a great platform and is / can be a useful tool on the job site. "Still not there, Not exicited about it (Please listen to your customers)"
I like the intergration of data with the ability to tie into forge. The new model engine is fluid and the document integration is awesome. It's simple to use and the UI is clean. Generally (all my AEC colleauges agree) the issue tracking piece for BIM 360 isnt there. Alot of other companies do it better such as BIMTrack. Issue tracking in Glue, Field, and now the new 360 Coordination platform need improvement but that cant happen without you guys listening to our needs. Still not a replacement for naviswork which is frustrating for our company it almost feels like we are being forced to use many tool to get our job done. BIM 360 Coordination doesnt seem to allow for plugins like BIM Track. Please open up the platform to allow for more innovation. Please listen to your customers. Allow for pluging for other issue tracking solutions for now. If you really want to take on issue tracking please create a platform that you can customize. Connected data and models and mobile consumption of that data for field use. We are also banking on the new BIM 360 platform being being easier to use which will allow for a higher rate of BIM adoption in our organization. What I like best about BIM 360 is the integration with some many of the Autodesk products, especially InfraWorks. I have been using it most recently for InfraWorks projects which have little coordination capabilities for assets outside our corporate network. BIM360 reads nearly anyhting and allows us to exchange the data between project teams and the client. It even works with many of our visualization assets. Even better, it is a browser based technology and doesn't require an applicaiton install. I wish it worked more directly with InfraWorks and 3ds max. We use the Autodesk Desktop connector via BIM360, and while this works, I wish we had more of the intelligence expereinced when working with Revit. Also, it needs better material/texture support as many of the models look too shiny. BIM360 is browser based and does not require software, which is importatn when coordianting with a team that includes internal and external consultants as well as the clinet and other stakeholders. Just provision an account and you are set. "Get Tools for Furthering Communication Between Manufacturing & AEC"
Ability to incorporate cross product workflows together. Recently we've been able to harness the power of BIM 360 for the manufacturing enviornment. This workflow allows manufacturing users to utilize BIM 360 for keeping track of equipment data and create intelligent factory floors. BIM 360 is a great tool for the constrution industry but also has a place in manufacturing as well. Lack of project management module. Need to add elements for connecting cost analysis.We have seem errors with the product during the bi montlhy updates, if would be nice to see more stable builds of the product. Great software that is starting to mature and become a world class clould construction and manufacturing product. I would highly reccommend jumping on the BIM 360 wagon and seeing how this product can be used for not only construction, but the manufacturing industry as well. We have seem great benifits in users having an intelligent plant layout inside of BIM 360 that allows them to quickly see machine metadata when the machine fails or needs replaced. Creating intelligent factories with applicable metadata inside of the BIM 360 enviornment. This workflow allows users to see equipment data from BIM 360 and easily replace data. We have seen benifits in allows maintance and engineering staff to see machine metadata when failure occurs in the field. Instead of users needing to house product data inside of file cabinets, its placed in BIM 360 and is easily accessed by all appliable staff. "BIM 360 Cloud with Revit"
That the collaboration is instant and implies better work and expectations between disciplines. Just do it, ensure that you're talking with the other disciplines outside of meetings. Be friendly with others and use the communicator that comes with the program. It has helped me/our company tremendously!!! Issues with models not working, models not being sent, models being sent day prior to a deadline. BIM 360 and a pencils down date allows disciplines to know when the model is not longer being altered. It is a real struggle when the Architect sends their models that either do not work or they send them the day prior. When the models are coordinated it overall helps all disciplines. The syncing speed are great compared to syncing to our local servers when collaborating between our Philly and NY offices. We have seen improved synchonization speeds to the BIM360 Design Collaboration hosted models and ease of use for all staff except for the project admin who is not thrilled with the number of steps to "Publish/Package/share" and time it takes for the system to "translate" the models before they can be shared. The majority of staff have reported real time-savings on BIM360 projects. The team setup is laborious. there are too many disparately located permissions settings that are too easily missed when adding consultant teams. There really needs to be some sort of project setup wizard that allows for en-masses permissions settings in plain english, in one spot so I can setup these projects and teams in ONE page of design collab and doc mgt. Also the terminology is confusing my staff. Collaboration between our Philly and NY offices is the biggest issue it is solving... Both offices use the same drive letter for two different servers and links drop out of our models when team members sync from the different offices to shared projects. "Great single source for your Risk Data"
360 Field, and the upcoming 2.0, as a Quality Management tool (and Safety). Being able to analyze both of these important areas of data in order to build better. How so many of our projects will be on 360 Field Classic for years before they can move to 2.0, yet any engineering work on pieces that need to be fixed has a hard stop. The transition should have been done better. Stopping work on one when the second isn't ready (doesn't cover the same benefits yet) was a poor client management. I have researched and continue to research competitors to the 360 Field product and consider Autodesk's solution to be at least one of the best 3 available and Autodesk is our best choice due to the level of care with the Enterprise project teams, as well as the GC collaboration involved with their new products. Big data in Issues, issue management with subcontractors and designers, and great searchable record of where we need to improve. I personally had no idea of the benefits of Big Data and using databases prior to BIM 360. And we've been on a different, poor functioning data base for years! We also use Glue, and Layout, and other products from Autodesk. I love the advanced security features, packaging/consuming linked model features, and the overall look and feel. Importing users is incredibly frustrating. I'm disappointed that I can upload multiple users via an Excel file to the hub itself, but I have to add users one by one to the actual team. I also don't like that I don't have the ability to export users directly from a team's page. The cloud is an incredibly useful tool for teams collaborating across multiple offices, with multiple disciplines, or needing to collaborate in real time. This is a good tool for those needing more restrictive model access or limitations placed on background freezes. The tool easily identifies many aspects of the project on the dashboard and is fairly intuitive to use as an end user. However, several of the administrative responsibilities seem more complicated than necessary. Specifically adding users to the hub and to project teams and managing team folders within a project. We are solving the issue of our consultants downloading a detached version of our model and freezing their backgrounds without telling us by using the package and consume/shared model system. We've realized a lot of benefits to using BIM 360 as the majority of our projects are moving to the cloud. Teams love the look and feel, the ease of sharing detached models without sending a file transfer, and sharing additional file types all in one centralized location on the web. 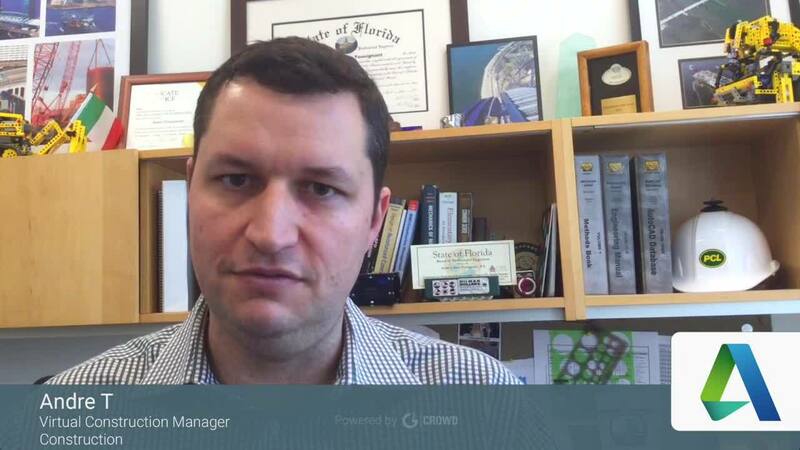 "I really like bim 360 as a container for model data"
I use bim 360 on several projects. I believe the best function of bim 360 is for containing models as a source for downloading. I dislike the varying methods for saving viewpoints an markups. I believe there should be one location where all the views and markups are stored together. and in a location where navisworks can access them. I view autodesk bim 360 as a tool for maintaining up to date coordination models. I think the product would be very powerful if the markups tool was able to be shared with navisworks. shared views in bim 360 are not sufficient for conveying coordination information. If the markup tool were able to be used to communicate through navisworks, the product would be much more user friendly for coordination efforts. i.e. a shared markups tool compared instead of a shared views tool. Keeping my models up to date is very easy with bim 360. I use the navisworks plugin prior to beginning my work for the day and I can be assured the data is the latest. Seamless processing, visualiation, and analysis of Revit models hosted in the cloud. No additional software required. Looking forward to what the future holds and how a cloud hosted database can be leveraged. This platform will be the next quantum step forward in the design insdustry! We were evaluating different software to do issue tracking, but discovered that the features and benifits we were looking for was already built in! The addition of other 3rd party add-ons is exciting! Web hosting mean adds risk (however slight) that the data could become unavailable in the future. We need to manualy back up cloud based data to our servers to ensure that we will continue to have it 5-10 years from now. The next hurdle is to get training on all the features and benifits that are availaible. Pricing is a little steep. It is a struggle to convince management to invest in the technology. Collaboration of Revit models, web hosting, and issue tracking. "Project Management Software Head to Head"
Over the course of a 5 days workweek we had a special task force or group set up to test pretty much all of the project management softwares available on the market today. I went in biased, and was heavily leaning toward pushing Procore to our group, however after we did the procore testing we tested Bim360 and I was blown away. Nearly every feature we were testing tested better than its competition. I'd like to see the Coordination and collaboration features be developed further, but the project management side is already top notch. The automatic clash testing could use more input variables. I'd like to see our project team using the automatic clashes to perform simple construct-ability reviews to determine simple and avoidable construable concerns. Having a project engineer or assistant project manager who is intimate with the job and can utilize the model is a key ingredient for success on a project. Try to get trials for each program you are considering, then compare them apples to apples. Once you find one you like "BIM360", then you can move onto Q and A from the product team. Still testing but it looks like it will be an essential tool to help us get our field staff utilizing BIM models in the field. Also a terrific opportunity for project teams to do construct ability reviews by just uploading models and reviewing the automated clashes that come up. "Just started using BIM360 at our company. Like what it provides for us"
I like that BIM360 provides our company a better way to collaborate across offices, with our partner companies and with our client in one platform. We've tried other options in the past, but they have not worked quite like we needed them to. Clash detection could be more robust, would be nice to produce better reports and tracking of issues. Because it's an Autodesk product, it's going to work more seamlessly with your Autodesk products than third party platforms. We have offices globally that need to be able to access and work on the same models at the same time. BIM360 gives us the availability to do this much more efficiently than the other platforms we've used in the past. We also collaborate with construction firms and other design firms that need access to our models as well as us needing access to theirs, BIM360 helps us collaborate and know that we're working with the latest models. the convenience of working from anywhere anytime. the speed at which it opens large revit models. the promise of having your data in a cloud and easily accessible without heavy hardware or using paper and printing. the new BIM360 Design could use a clear user interface, instead of the confusing thing it is now. also, group all commands in one place, instead of having them all over the place. also, when you click on Glue then you are permanently in glue every time you log in. can you plz make your WEBSITE a clear one we can type to access bim360? can you plz add family storage, keynote and share parameters files in there too? think of it as a "private autodesk server" instead of a "cloud" - because it is secure and that is actually a more accurate description for it anyway. work from anywhere anytime. file storage size and location. The idea of the eco-system of the software and being able to have all project data live in a singe source, able to be accessed by all users. The confusion on the different components, pricing, and how they function across a company or project structure. This is honestly one of the more difficult things to communicate to leadership and would be one of the most difficult things to start integration on. While it makes complete sense from a high level, navigating the weeds is like turning an aircraft carrier. Pilot projects are huge, and need to be fully committed from the design phase onward. This is something we are still looking to identify in our company and it takes the right project, team, and needs direction from leadership. Personally, the Model Coordination module is huge, being able to manage and automate that is a huge time saver. The dashboard, document management, and now integrated issues are well on their way to being a standard practice once implemented. The BIM 360 platform holds tremendous potential. Key features need further refinements. The mobile solution works well. Exporting capabilities from the sheet extraction is a necessity (,dwg from sheet files). Below the line experience - no more allowing of live linking. CAD products need to be supported. Above the line - linked model uploads should be more intuitive for sheet extraction. The learning curve is challenging both above the line and below the line. I enjoy the cloud hosting services that allow the model to be accessed from anywhere. It is much easier for me to work remotely using BIM 360 than over VPN with models on our work server. We have had issues in our office inviting collaborators and setting permissions for accessing models. There is also some confusion in our office between the A360 and BIM 360 platforms. We have also had issues in the past navigating the BIM 360 management tools on the site. BIM 360 is a great option when determining a solution for hosting BIM models on the cloud, especially if you are looking for a flexible solution that allows you to work from anywhere. From a model management perspective, The process is fairly simple and straightforward, but you may run into issues navigating the management interface and using the management tools. The platform is great for collaborating with other firms on projects. It's very simple to host a project on the cloud and have all parties access it. * We monitor all Autodesk BIM 360 reviews to prevent fraudulent reviews and keep review quality high. We do not post reviews by company employees or direct competitors. Validated reviews require the user to submit a screenshot of the product containing their user ID, in order to verify a user is an actual user of the product. Hi there! Are you looking to implement a solution like Autodesk BIM 360?